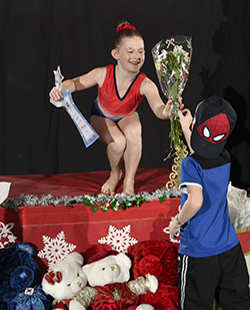 This is a huge annual production that Stars & Stripes puts on for all of our gymnastics, tumbling and warriors classes. 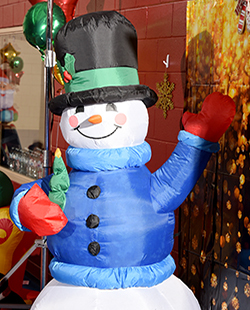 It is a wonderful opportunity to allow each child to showcase their skills that they have been working so hard on in class for their family and friends. The Holiday Show is very exciting and an amazing experience for all that attend. 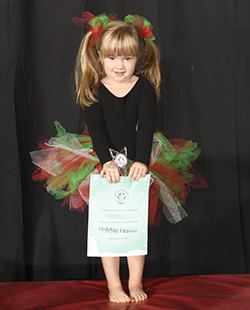 Not only does your child get the opportunity to perform in front of a live audience, but it also builds each child's confidence and helps each child feel great about their achievements. Each participant will receive a very special trophy and certificate presented to them by a "Special Guest". Refreshments are available for all participants and guests immediately following the show. All guests will be inside the gymnasium and are encouraged to bring all types of cameras. George Stewart Photography will also be taking professional pictures throughout all of the shows. Photos will be available for immediate purchase after each show. This event really helps bring this amazing holiday season into full swing. You will have to come and witness the fun for yourself. Tickets go on sale Nov. 1st. There is limited space available and this is first come first serve. Tickets are non-refundable, as with the participation fee. The final day to sign-up will be Nov. 26th. There can be no exceptions to this date. Please keep in mind that class attendance is very important for those participating in the show. Students are learning new things in class that will be used in the show. We don't want them to come and feel unprepared or nervous. Please help us to help them have a positive and rewarding experience. More information for participants will be sent home closer to the performance date. LOUD MUSIC AND SPECIAL EFFECTS WARNING: Designated areas during the event may be subject to extremely loud music and sounds, as well as, strobe lighting and other special effects, including flashing lights, rapidly changing or alternating images, the use of fog, haze or smoke with theatrical stage lighting and laser projections. Individuals who suffer from certain health conditions, including seizures, light sensitivity or any other health condition that could be aggravated by these special effects should consider this warning before entering or remaining on the premises. ©2019 Stars & Stripes Kids. All rights reserved.